This long stretch of cold winter weather, coupled with the short days and dark evenings, has found me seeking the warm indoors of home and a comfortable spot on the couch these past few weeks. And while there I've tackled a few of the books that had started to form a precarious tower on my nightstand. A recent article on sister site TheHorse.com inspired me to start with several Thoroughbred rescue/retirement/retraining/rehoming books and articles I've acquired. Here's a general review of the best reads. If you received a gift card or some spending cash as a gift during the holidays, I have a couple of book recommendations to help you spend it! First up is Beyond the Track: Retraining the Thoroughbred from Racecourse to Riding Horse, a great overview of the off-track Thoroughbred's amazing ability to excel at diverse second careers, from dressage and eventing to hunting, trail riding, and barrel racing. Anna Morgan Ford and Amber Heintzberger offer insights on finding the right OTTB for your purposes and re-training him both physically and mentally. The book provides a roadmap of training goals and techniques that I found helpful -- I picked up several tips I can't wait to use. (You know a book is great reference when it has 50 Post-It flags indexing your favorite ideas, and I sure decorated my copy of Beyond the Track with at least that many.) And I happily would recommend this book not only to experienced horsemen who are planning to reschool their own new mount, but also to more novice riders who simply wish to better understand the mindset of their already-retrained schoolhorse. My next read was a book that I had put on my Christmas wish list immediately after reading about it on one of my favorite blogs. Beyond the Homestretch: What I've Learned from Saving Racehorses is an immensely readable story by Lonestar Outreach to Place Ex-racehorses (L.O.P.E.) founder Lynn Reardon. From the first page I was hooked -- Reardon's writing style is gripping, colorful -- and makes for a compelling read. She describes in detail a couple of veterinary procedures on her organization's residents, and shares interactions she has had with horsemen, trainers, boarding barn managers, and a bunch of horse crazies. This isn't a book that imparts specific techniques for rehoming and retraining retired racers, but instead a feel-good story that will inspire readers to pursue their dreams. Reardon is living proof that hard work -- lots of hard work -- and perseverance are all it takes to accomplish great things. When you're about halfway through Beyond the Homestretch, you'll find yourself daydreaming about cutting free from your current life and embarking on a new plan to create a horsey utopia for racing's castoffs. Kudos to Lynn Reardon for her success with L.O.P.E., and I urge you to track down a copy of her fascinating tale. Oh, and I mentioned my original inspiration came from an online article run by TheHorse.com. It was an announcement about a new handbook put out by the Unwanted Horse Coalition called Best Practices: How Your Organization Can Help Unwanted Horses. 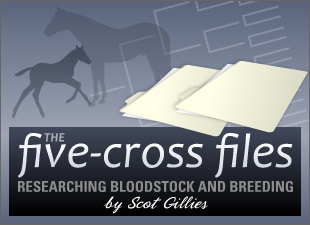 Since then, BloodHorse.com news editor Tom LaMarra has posted a similar story on this site. The booklet is a free PDF download that outlines several practices that will reduce the problem of equine overpopulation in order to make every horse truly "wanted." The free booklet offers commonsense ideas about horse adoption, rescue organization fundraising, breeding control and euthanasia, creating a rehabilitation facility, and continuing education about unwanted horses. So, your feedback, please. Who's read any of the above? What were your thoughts? Have you encountered any other horse retirement/retraining books recently that you'd recommend to fellow readers?